Directional microphones: Are we going in the right direction? Exploring the effects of microphone orientation on speech intelligibility in noise. 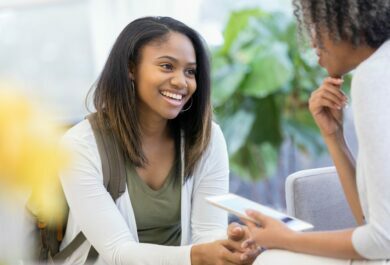 One of the greatest challenges that individuals with hearing loss face is difficulty understanding speech in complex listening environments (e.g. restaurants, social gatherings, car). Thankfully, with the introduction of directional microphones, speech intelligibility in background noise has been significantly improved. As audiologists we know directional microphones are designed to optimize sound coming from the front and attenuate sound coming from the back. This is primarily accomplished one of two ways: utilizing two microphones on a single hearing aid (e.g. 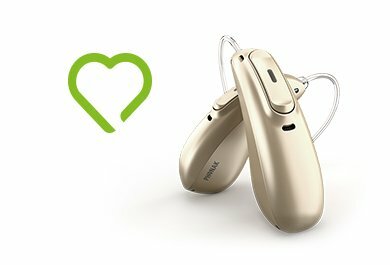 Phonak UltraZoom) or having a pair of hearing aids work together to use all four microphones to create a narrower beam (e.g. Phonak StereoZoom). Most directional microphones can provide an average of four to five dB of improvement in signal-to-noise ratio (SNR) and narrower beamformers provide even greater attenuation. Today, outside of remote microphone technology, such as FM systems and Roger systems, directional microphones are the gold standard for improving speech intelligibility in noise. However, directional microphones present their own set of challenges. The placement of microphones, or tilt angle, on hearing aids is essential in improving SNR and is an aspect that manufacturers consider when designing hearing aids. 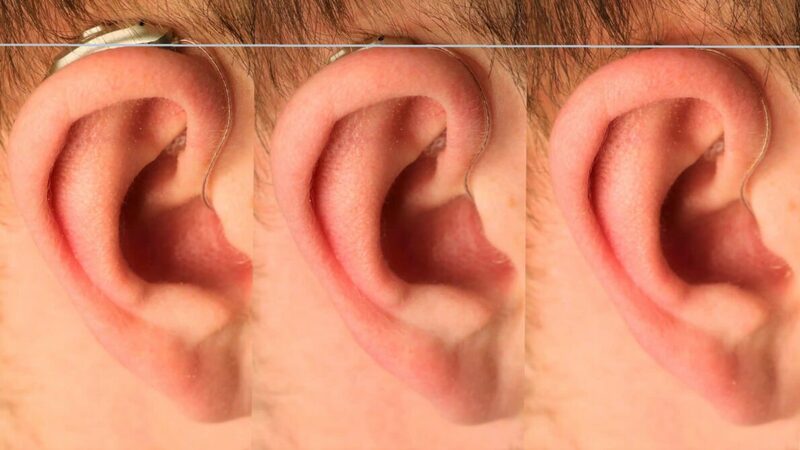 When a hearing aid is placed on an individual ear the degree that the microphones sit on the ear can vary from one person to the next as highlighted in Figure 1. Figure 1. 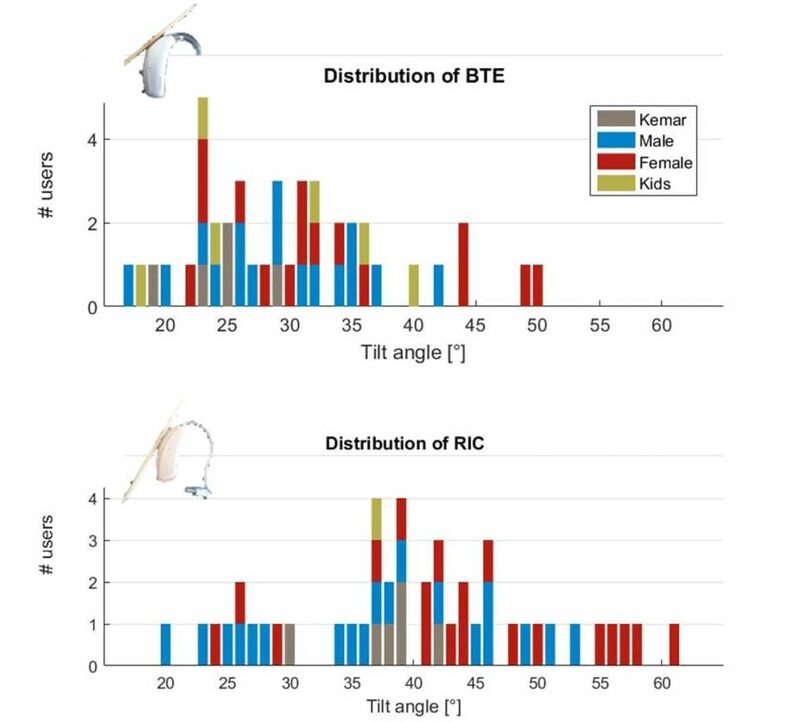 Distribution of tilt angle for BTE and RIC hearing aid styles. Directional microphones can be less effective when fit inappropriately. How so? A change in tilt angle has a direct effect on the Directivity Index (DI), which is a directional performance measure indicating how well sound coming from non-target directions is attenuated by a beamformer. DI is correlated to SNR for diffuse noise field scenarios (e.g. the infamous cocktail party) and thus a change in tilt angle can affect speech intelligibility in diffuse noise. What factors affect the tilt angle? It is important to consider the position of the patient’s head. You might have a patient whose microphones are not optimized for his or her specific ear. This could include someone with an abnormal external ear due to a collagen disorder, syndromic hearing losses such as Down syndrome and Treacher Collins syndrome, or medical conditions that affect posture. Additionally, audiologists can affect the microphone alignment by choosing the incorrect receiver length or by cutting tubing too long or too short. How can we modify the tilt angle? Ensure that the microphones are in the best position by using the appropriate measurement tool for each manufacturer and adhering to their specific measurement instructions. Visual representation of appropriate receiver length in reference to the horizontal plane is shown in Figure 2. What if the patient is in between receiver sizes? Occasionally a patient might be between two receiver sizes and a shorter receiver length may cause discomfort and a longer receiver length may cause retention issues. In this instance, a custom earpiece with an integrated receiver (e.g. Phonak cShell) is an option to improve the individual fit. An integrated receiver allows for optimal placement in the ear canal as the receiver curves with the individual ear canal unlike with a standard receiver. Any further recommendations? Educate your patients and their loved ones on how to maximize the benefits of directional microphone technology. Demonstrate where the patient should be positioned for optimal noise attenuation (e.g. noise behind the patient and the sound of interest directly in front of the patient). Remember it is our duty as audiologists to ensure that our patients have every advantage possible to hear their best. This includes staying current with technological advancements and best fitting practices as well as empowering our patients to advocate for themselves. No comments on “Directional microphones: Are we going in the right direction?”, yet. Laura joined Sonova in 2016 for a one-year formal development program where she worked at Advanced Bionics, Connect Hearing, and Phonak. Prior to her present role, she worked on the Pediatric Team as the Pediatric Audiology Manager. 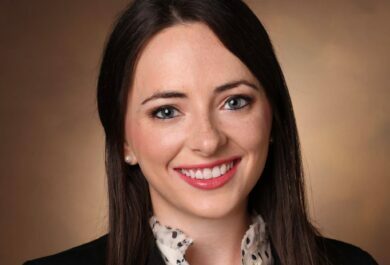 Laura received her Doctorate of Audiology from Vanderbilt University School of Medicine.